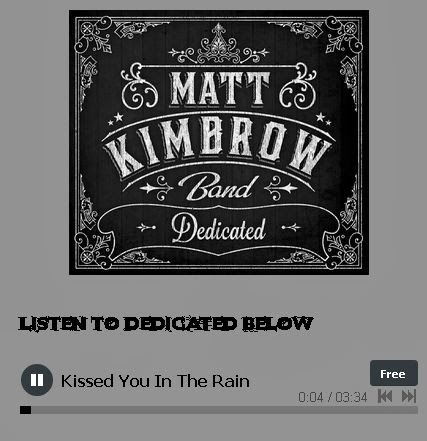 Get a free song download from Matt Kimbrow Band. Just click the link below to go to their website. Once on their website scroll down to the song, "Kissed You In The Rain" and click on the, "Free" button. A popup will come up that says, "download Track" Click on that to download and save the song.